This is a book that includes personal thoughts and feelings from the most famous astronaut on recent times. You may know his popular youtube videos about how to do “simple things” in space. 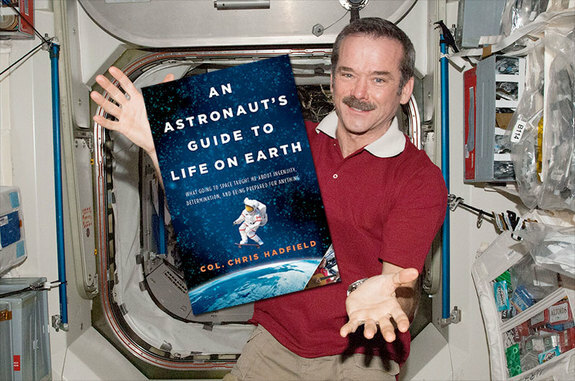 In the book you can find how Chris Hadfield was inspired to became an astronaut. He saw Neil Armstrong walking on the moon for the first time. He was six years old an he stayed focused his entirely life with the ambiton of becoming an astronaut in a country that had not got space program at that time. From my point of view this book has an strong smell to a self-help book. This stink comes from the repetition of some thoughts insistently during all book chapters. These thoughts are: “You have to stay focused on your goals”, “You have to be prepared for the worst and for the best”. The book only has two interesting chapters, the one wher Hadfield describes a lift off in the Soyuz, and the one where the life in the ISS an the return to earth is described. The other chapters are an attemp to describe a focused life, and the hard life of an astronaut, but as I said before too repetitive and without interest. Anyway, the book is read easily even in English. I do not know why, but I colud not stop reading it. I suppose that an astronaut life is always interesting. I invite you to read the book and share your opinions, maybe I am wrong or I spected a thing that was not promised. Os dejo con una charla TED que resume la mayoría del libro bastante bien.